The use of telehealth grew more than urgent care centers, retail clinics, ambulatory surgery centers, and ERs between 2016 to 2017, according to the second annual edition of FH Healthcare Indicators. From 2016 to 2017, private insurance claim lines for services rendered via telehealth as a percentage of all medical claim lines grew 53 percent nationally, more than any other venue of care studied for that variable, in the second annual edition of FH Healthcare Indicators. 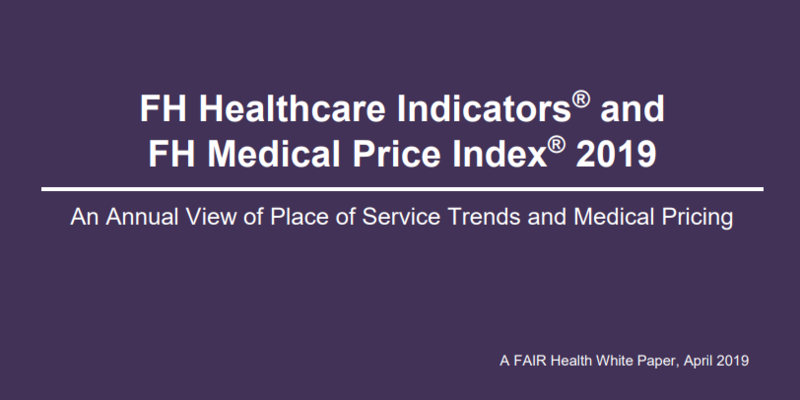 FAIR Health, a national, independent, nonprofit organization dedicated to bringing transparency to healthcare costs and health insurance information, released this report, along with the second annual edition of the FH Medical Price Index, in a just-published white paper. The white paper combining both reports is based on FAIR Health’s database of over 28 billion privately billed healthcare claim records—the largest such repository in the country. 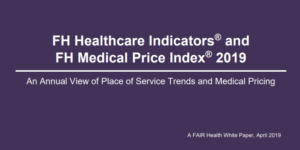 Like the inaugural release a year ago, this year’s edition of FH Healthcare Indicators and the FH Medical Price Index is intended to assist the full spectrum of healthcare stakeholders by providing clarity in a rapidly changing healthcare environment. From 2016 to 2017, by comparison with telehealth’s 53 percent growth rate, national usage of urgent care centers increased 14 percent, of retail clinics 7 percent and of ASCs 6 percent, while that of ERs decreased 2 percent. From 2008 to 2017, urgent care center usage grew 1,434 percent, more than seven times that of ERs (194 percent). This was a continuation of the trend from 2007 to 2016 reported in last year’s edition when urgent care center usage growth also had been more than seven times greater than ER growth. Professional evaluation and management (E&M; excluding E&Ms performed in a hospital setting). Hospital E&M (excluding E&Ms performed in a professional setting, such as typical office visits). Surgery (procedures for which the physician would bill). Pathology and laboratory (technical and professional components, e.g., both equipment and physician services).